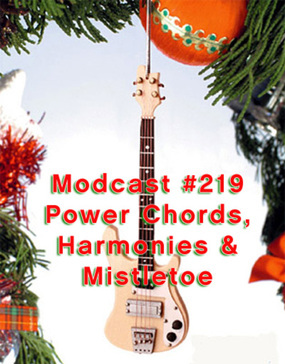 Welcome to the mod world, where this week the powerchords really are running wild. Lots of power pop from the mod revival/Britpunk era of the late 70s and early 80s, as well as a few other cool tracks. I was lucky enough to have a chance to interview my old friend Dean Hoth, who is the lead singer of power pop trio The Eddies. We talked not just about what the band is up to, but more importantly to discuss a new Christmas compilation that is the perfect gift for any and all power pop loving mods out there. Powerchords, Harmonies and Mistletoe, which was just releaased last month by Twist Records and the first pressing has already been sold out. Now hear from Dean about how the album came together, what other mod comps are currently being developed and even hear a few of the songs from the CD. Hi, been listening to your podcasts for some time, just thought I'd leave a message of gratitude, discovered a few bands that I didn't previously know here, so thanks.